Guess who’s back, back again? With some hacks…. Tell your friends! So remember how I thought ya’ll about fire? Well there are more times we need to burn things. As some people reminded me, not everyone is lucky enough to get out in the wild when the apocalypse comes knocking. Literally! Sometimes you’re stuck in your home or other building and getting out in the wild might not be your best chance of surviving long. But without heating and electricity you’re bound to be cold and in the dark. So before I teach you anything else. Let’s make sure you can survive long enough to make it to the wild! First we want to get things warm and toasty. Getting hypothermia isn’t the way to go, people! So here’s what you gonna do! Get terracotta pots, flowerpots are best. Terracotta conducts heat really well and can radiate the warmth. 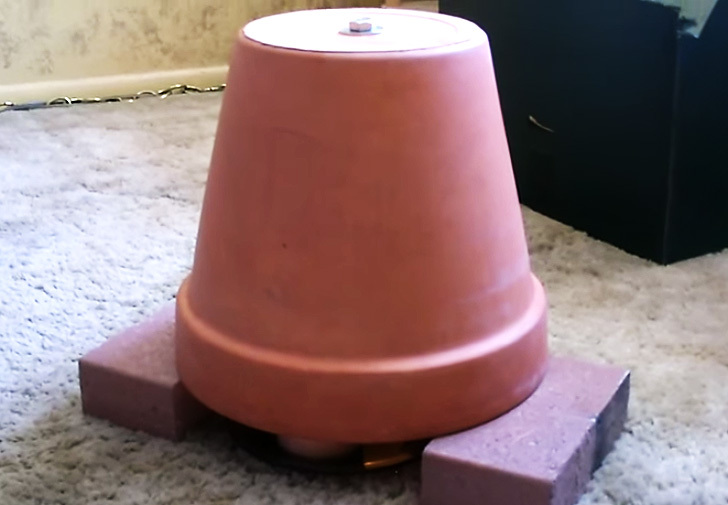 So get a few terracotta flowerpots, put them on a heatproof surface, preferable with some room to let in some air. And last, but not least, put some candles under them! Well fear not! You probably have some other things you can use as a supplement! Great for your new diy-heater and to see in the dark. 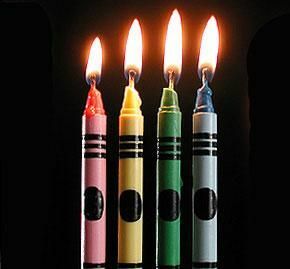 Crayons! Yes, crayons! Most people, especially those with kiddos have them in their home and these greasy sticks of colour can burn up to 15- 30 minutes each! You just light them and watch them burn! If you ain’got crayons you might have something else in your cupboards that will help you out. Crisco! Crisco Is mostly used in baking and it can burn just like crayons! You need to twirl together some twine to make a make-shift wick, but if you stick that in and light it, you got a candle that burns for ages! So now you can be warm indoors and have some candles to light your dark days. Next week we'll get into another important thing in surviving. Getting you fed! Lukrezia Tierney Pretty cool! Awesome hacks from the hack queen Dessa! Xuan Mai Sounds actually helpful!